Guglielmo Marconi was born on April 25, 1874, to an Irish mother and Italian father, in the ancient Italian city of Bologna. He was brought up in a house villa, Griffon in his father’s country estate Guglielmos. His Father wanted him to be a naval officer. Even though Marconi loved the sea, he was very bad at schoolwork. He found it boring and never spent time on it. The teachers also found him backward in studies. Yet Marconi made one of his most important friends Luigi Solari who helped him in wireless work. Marconi liked to repair and make some gadgets. It brought Marconi into a biter conflict with his father who felt that he is merely frittering away money and time. His father set out to stop all his son’s madness and destroy the gadgets but Marconi had a strong supporter, his mother, Annie. Mother and son plotted to keep Marconi’s inventions away from the disapproving eyes of his father. His father’s disappointment was confirmed when Marconi failed to get into naval academy in Leghorn. Marconi’s own disappointment was deep though well hidden. What was he to do with his life? He was thirteen and as a poor alternative he entered Leghorn Technical Institute. He studied physics and chemistry. More and more of his father’s reluctantly given money was siphoned off for Marconi’s experiments. His mother struggled to keep balance between her son’s enthusiasm and anything his father could interpret as more and more frittering of time and money. Even though Marconi had studied electricity extensively for his experiments, he failed at the examination and could not get a place at the University of Bologna. Annie alone understood the depth of his miseries. She was determined he should continue his studies. Fortunately one of the professors of physics Augusto Rishi lived near his residence. His mother persuaded the professor to help the boy get back into studying electricity. Marconi was sixteen years old. By the 1890s telegraph wire had already crisscrossed Europe and the United states. It required marathon struggle to lay and maintain. Marconi’s mind fluttered over the idea of a wireless kind of communication. He had read about the work of Heimrich Hertz and thought to utilize these electrical waves for telegraph without wire. At the age of twenty he dreamt about sending a signal from one end of the World to the other without any wire. He confined himself to his father’s attic working day and night, experimenting tirelessly with various alternatives. Once the breakthrough had been made Marconi worked quickly and with dogged determination on his experiments. First he sent message across the attic, then down the garden and then across the Valley in 1895. The same year an Indian Scientist Sir J.C. Bose had demonstrated in presence of Governor of Bengal by ringing a bell at 75 ft. distance across the brick wall, by wireless system . Sir J.C. Bose could not get required support to develop it internationally. 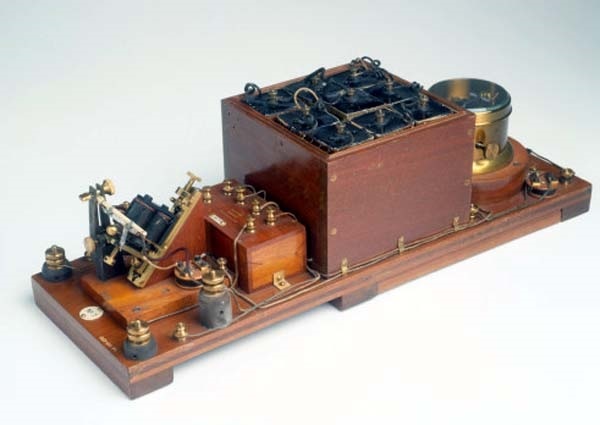 However, Marconi went to England with his mother in 1896 and demonstrated it in London. He got full support of the Post and Telegraphs Department of England. He further got the support of Italian Navy in 1897. In 1899 his wireless crossed the English Channel. Marconi went to United States of America to develop wireless communication across the world , He got its patent in his name . His wireless saved thousands of lives, on the ships of the sea in first decade of the twenty century. In 1909 Marconi was awarded he Nobel Prize for physics jointly with Carl Braun of Germany. In 1912 Marconi lost an eye. The same year he bought a ship “Elettra” and started a floating laboratory for a short wave research. Short wave, measuring ten-meter length needed smaller equipment. Ultra short waves measured in meters needed even smaller aerials. Throughout 1922 and 1923 Guglielmo concentrated on shortwave wireless. By October 1926 shortwave stations began working in South Africa, India, Australia, United States and South America. His efforts helped in wireless communication in Aviation and Air force. Now we have satellite TV. In his final years he turned again to his Country Italy. Over the next couple of years a succession of heart attacks taxed Marconi’s energies and he was able to return to research fully only in the 1930s. 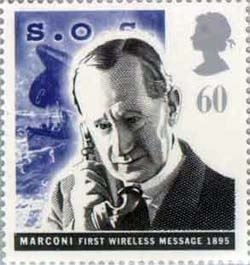 Marconi was taken ill and died in early hours of July 1937. The World mourned over his death. Dear author: Since , I didn't get a reply to my original question, I did a bit of investigation myself. There is simply no documents available anywhere in any library about measurement technique of wavelength of short wave in 19th century! The picture in this article is a simple morse code apparatus with batteries that is all.! So how did Marconi do it? I am somewhat surprised that you did not mention if He used radio valves aka vacuum tubes in his experiments in 20th century and the method of measuring the wavelength of radio waves! In early days of the last century there were no oscilloscopes either! So what measurement methods did use? Care to explain?